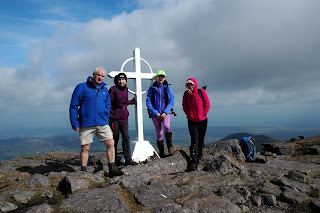 This was our first time in the Galtees as a club. The south side of this mountain range is much more gradual and easier to climb than the north one, but still it's a good hike especially if you do both Galtymore and Galtybeg. King's Yard has some facilities including bathrooms and refreshments similar to those known from Cronin's Yard in Kerry. To get there turn left from Mitchelstown bypass after Kilbeheny when going Cahir direction. You're now in County Limerick. From King's Yard we walked the road up to the sheep's pen and then turned right and started climbing straight up. 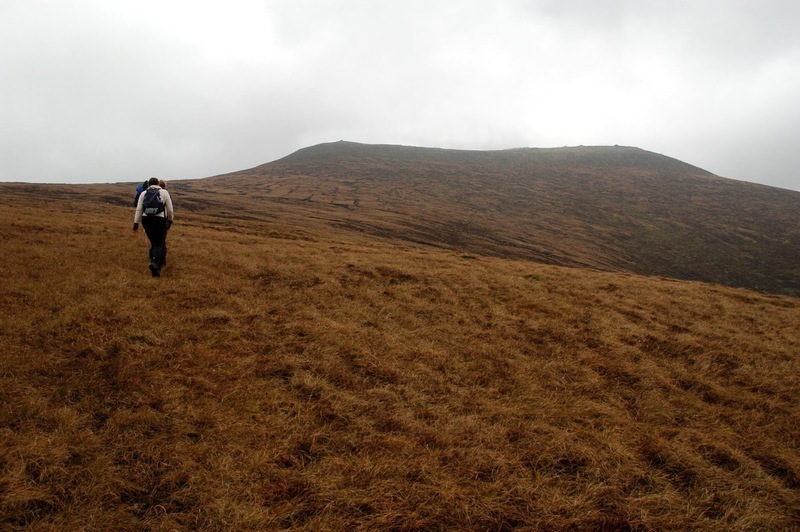 It's a long but gradual climb, easy to follow on a clear day. The pictures above were taken in the same place and show how different mountains can look at different times of the year. Luckily the top was clear and we were able to see the north side which is one of our next destinations. We discussed all the possible routes and can't wait to do the full loop taking Slievecushnabinnia, Galtymore, Galtybeg and Cush. 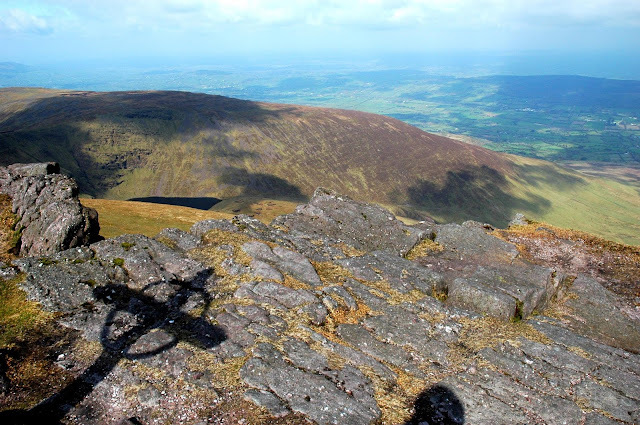 After lunch we headed down and up again to the top of Galtybeg (Co Tipperary). This part of the trail is always busier and you meet a lot of people climbing up as you go down. 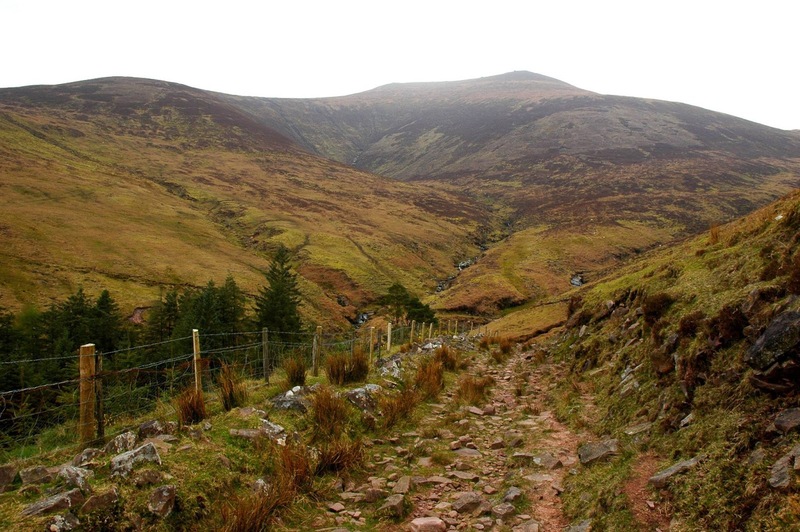 This is the most known and popular route up Galtymore with the start point at the black road. The easiest but the longest as well. 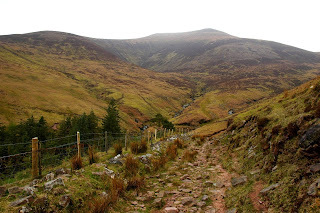 We used that route for going back after descending from Galtybeg but we didn't go as far as the black road. We took the path turning right and down to the river to the point where we could safely cross it. Going back this way is longer as you have to walk back towards Galtymore a bit to avoid the forestry but it's a beautiful valley and a lovely walk. 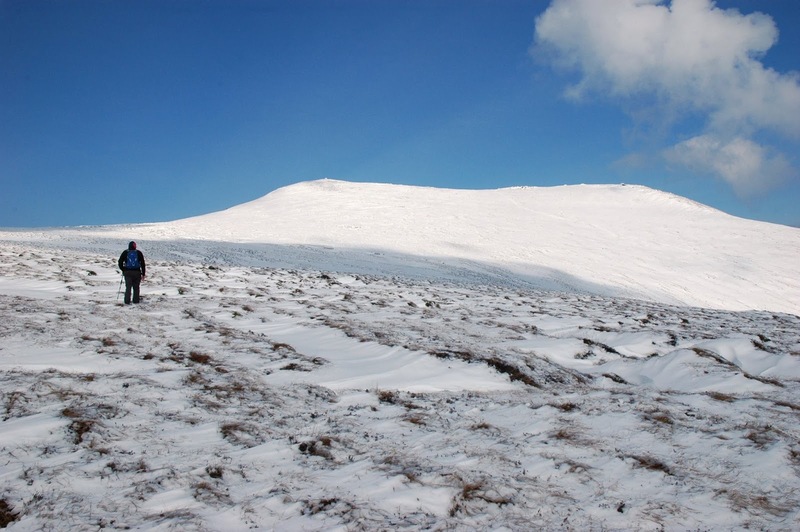 After having a closer look of this side of Galtymore we possibly found our new challenge for the future which is a steep gully going straight up to the top... There's more research to be done about the place but as far as we know it can be done and if it can be done it must be done and that's it. After crossing the river, we climbed a little bit up where it was easier to walk and soon we met a path which will take you to the remains of an old abandoned cottage surrounded by some beautiful trees. What a location! We stayed there for a while and took some pictures. The way nature takes back places we once built and lived in is amazing. 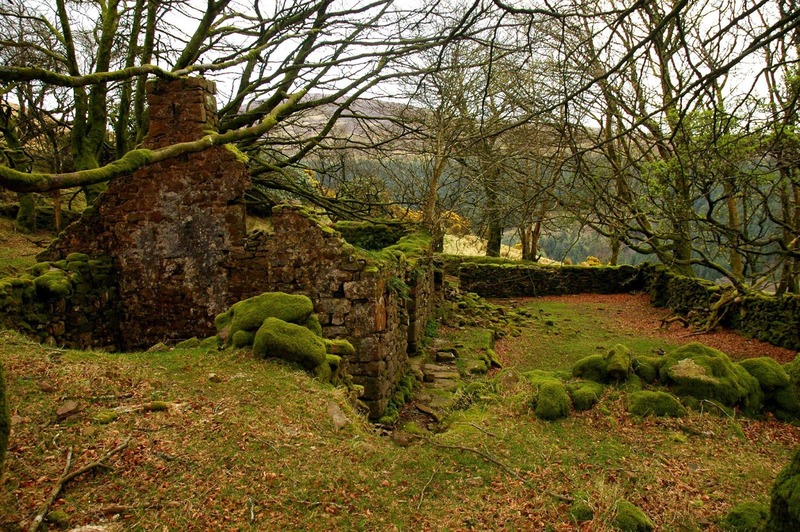 From that place the path becomes a little road which was long ago providing the only access to that remote house. That road soon meets the road to King's Yard near the sheep's pen. You can easily guess why nobody lives there anymore while walking all that distance back to the car park and from there there's still more to go to the nearest town or village. A nice walk we had again. 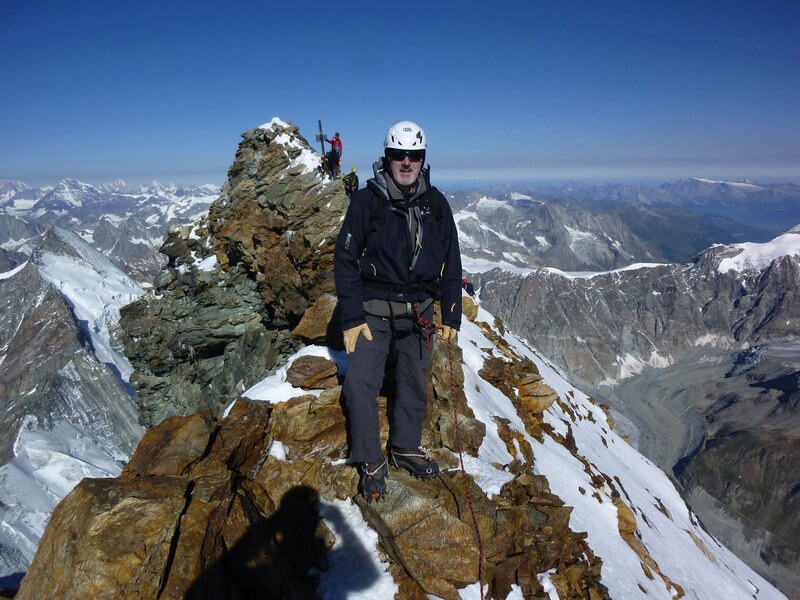 See you soon on Hag's Tooth!